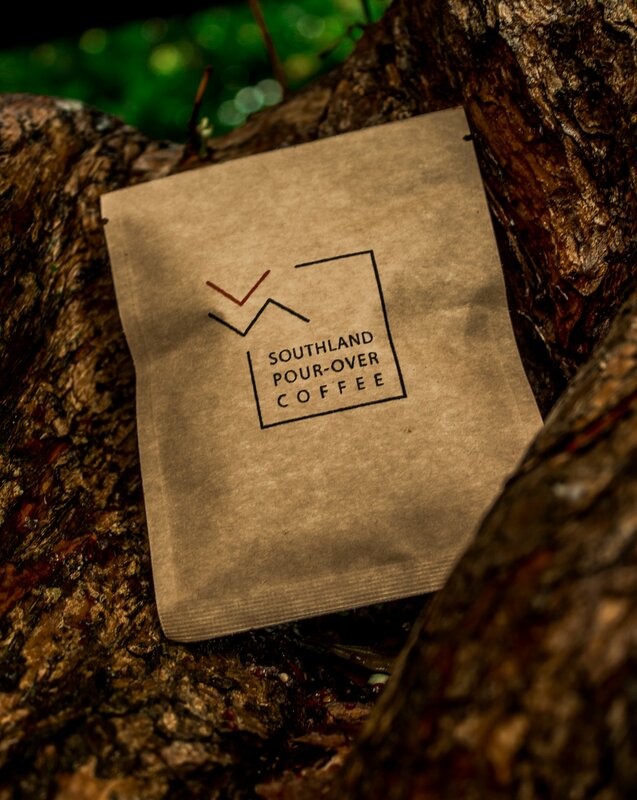 Some time ago, I spotted a post on Instagram inviting me to get in touch with new coffee start up called Southland Coffee and give them a go. Now, I’m no coffee snob. My love affair with coffee may be strong (and black), but it is also completely under control. I am not one who needs to go to that latest place or try that new blend or bean. No drama here: I can comfortably survive through a day without coffee (although I rarely prove it). But I like drinking coffee and – like everybody else – I enjoy doing things I like. It’s almost like that’s how the word “enjoy” came about. Sorry about the mug. I couldn’t find one with Theresa May cuddling an Alsatian. Add some hot water from your flask (if you’re out and about on the beach or the mountain) or your kettle (if you’re in your kitchen) and you have fresh, delicious filter coffee in just a couple of minutes. It’s not rocket surgery. And you – like me – will be surprised at just how sturdy that filter clip thing is, despite its unobtrusive design. My wife popped over to Japan last year and brought some of these hanging-ear coffee filters back for me because I have a love-love relationship with coffee. The are apparently huge in Japan. We source coffee from a few roasters around Cape Town, grind and pack ourselves and that’s pretty much it. We are trialing it at R120 for a pack of 10 and so far they are flying out the back of my Hilux. 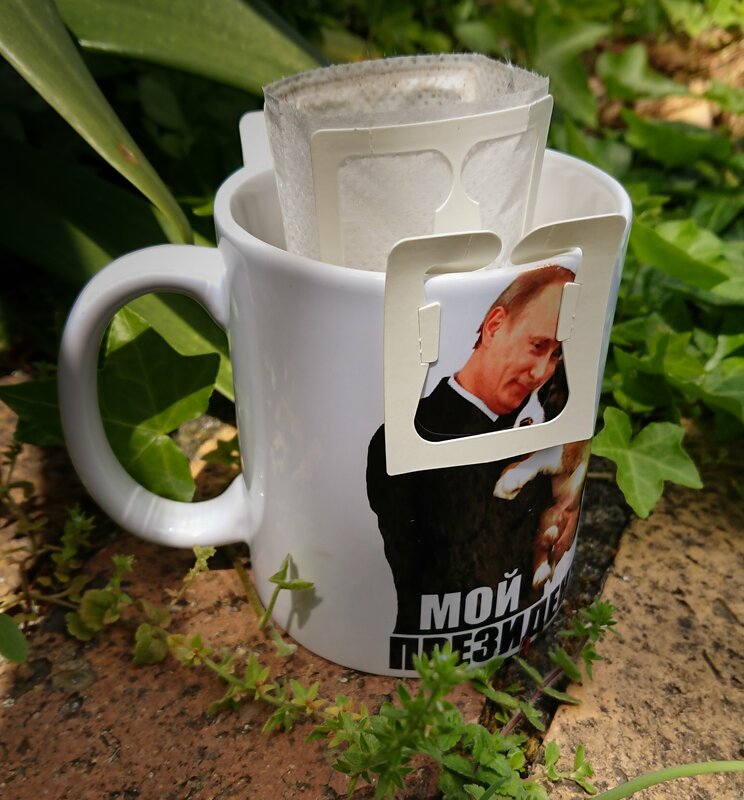 Other features: Recyclable packaging, free delivery to Cape Town addresses (on Thursdays “so you have it for the weekend”), shelf life of 12 months in an unopened sachet, and yes: because they pack it themselves, you can ask them to stick your favourite coffee in there for you – but you will need to order a minimum of two packs. Reasonable. The website you need is here. And, let’s be clear here, while Southland did send me some coffee to try, they also made that offer to anyone else who saw that Instagram post. They didn’t ask me to blog about it and no money has changed hands here. This is an honest review of a cool product. If it wasn’t very good, I’d tell you so, but this is simple, decent coffee, innovatively packaged and I’m going to see if my Dad has read this far by ordering him some for Christmas.